Our garage door restoration service in Minneapolis includes removal of old coatings, sanding and application of a premium finish made for garage doors. 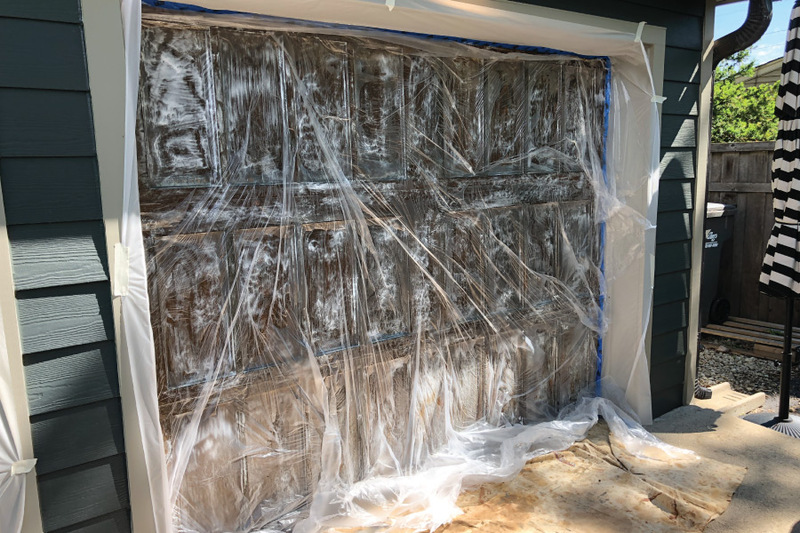 Using our garage refinishing system you’ll save money in the future by avoiding labor intensive stripping and sanding. All thats needed is a simple rinse and clear coat. This process should remove 95% of the previous stain. To avoid glossy and blotchy areas, it’s important the old stain is removed before new stain is applied. 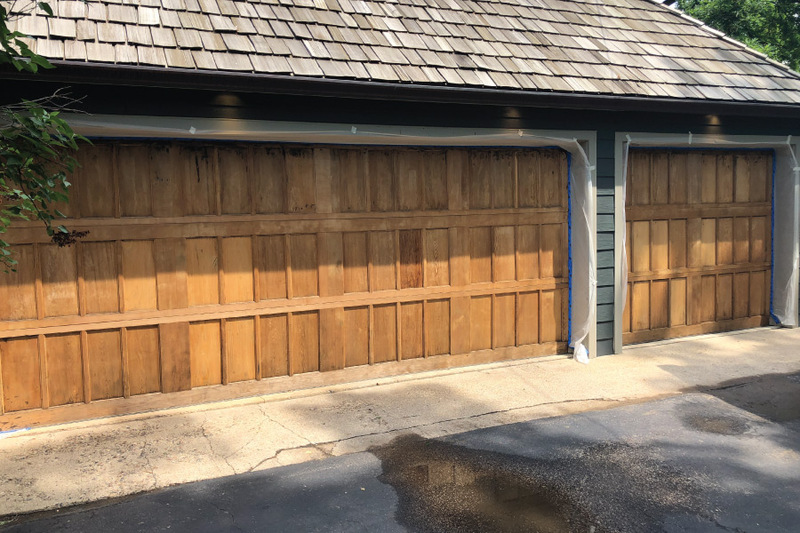 After we have prepared your garage door, we can either apply a one coat application system or a two coat application system depending on the look you are trying to achieve. 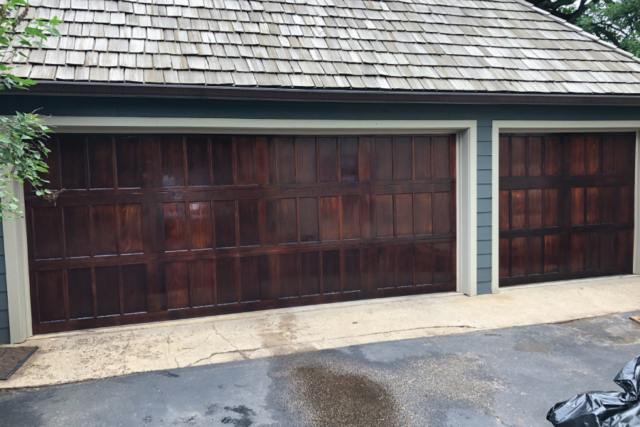 Our two coat system is extremely durable, provides a rich satin sheen and long term maintenance is a breeze. After we have fully restored your garage door, you can expect an easy maintenance process every 5-6 years. Maintenance coats include cleaning the surfaces with soap and water. After the surface is clean, we apply one coat of a clear maintenance coat from Sikkens. This maintenance coat will give you enough protection for another 5-6 years. 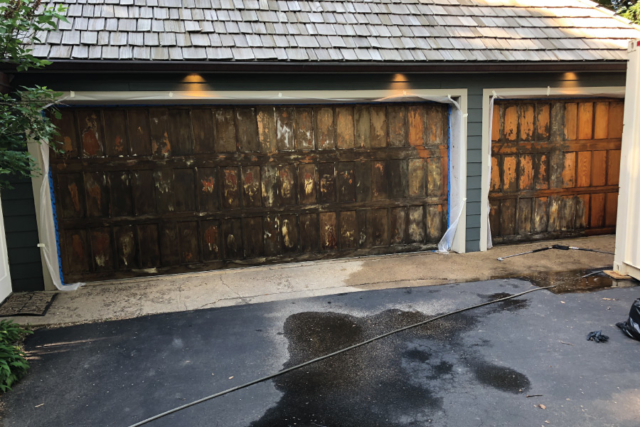 Its important not to let the shine or sheen wear off your garage door before applying a maintenance coat. If the sheen wears off and the wood is exposed, you may need a full restore again.